Anxieties are everywhere. Life can never be free of worries in this chaotic world. It is a series of problem-solving opportunities. It just depends on how you handle and deal with them. But as human beings, we tend to be anxious all the time. The question is, How has your Christian experience grown since you committed your life to Him or Have you grown spiritually if you always seem to worry? Missionary work is not an easy life. It is full of different adversities. If you only depend on yourself, there is nothing you can do but worry about your future and complain about everything. And sometimes, if things get complicated, you tend to give up because you don’t know how to respond and deal with the different situations. I was hopeless and helpless for I just clung on my own ways and worried about something. But I found out that leaning on Jesus, our Master, makes a difference in my life, my priorities and actions. It affects me and helps me in what I am doing. Now, I love missionary work more for it changed me to be more prayerful and more spiritual. Through prayers, petitions and making requests to God, changes just came naturally. For me, it turns the negative thoughts into positive; the difficult situations became easy; and, the impossible was made possible. My friends, Jesus said to His disciples: “Therefore I tell you do not worry about your life, what you will eat; or about your body; what you will wear. Life is more than food, and the body more than clothes. 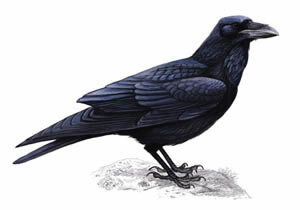 Consider the ravens: They do not sow or reap, they have no storeroom or barn; yet God feeds them. And how much more valuable you are than birds! Who of you by worrying can add a single hour to his life? Since you can do this very little thing, why do you worry about the rest? Consider how the lilies grow. They do not labor or spin.” (Luke 12:22-27).